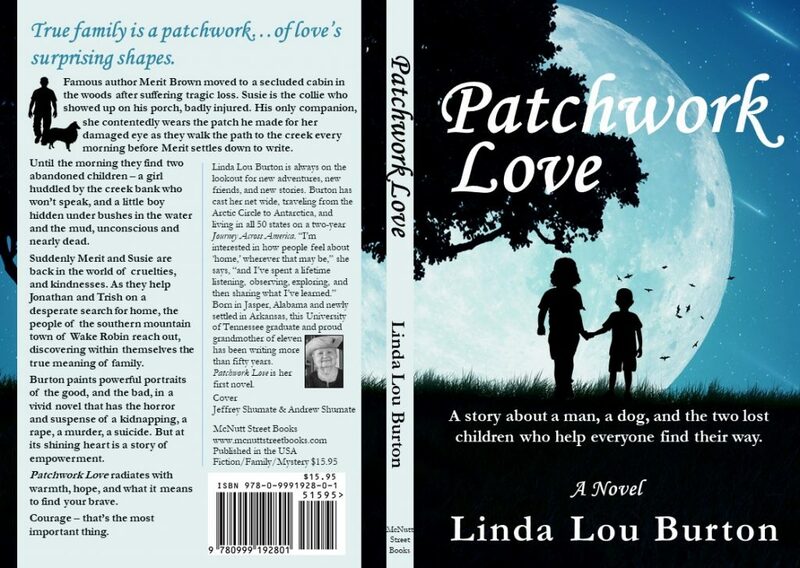 Linda Burton posting from Arkadelphia, Arkansas – Patchwork Love, by Linda Lou Burton. It isn’t horseshoes. It is a beautiful story about a man, a dog, and the two lost children who help everyone find their way. Famous author Merit Brown is the man, Susie is the collie dog with the eye patch, and Jonathan and Trish are the two lost children. It’s a story about courage, about finding your true family and finding your brave. It’s a story with heart, wrapped in mystery, filled with characters you will care about, and more than a few twists and turns. It’s a great read, with an expressive cover, no matter which capital city you live in! So why am I talking about horseshoes? I’m talking about precision. The rules of horseshoes seem simple enough – you simply stand back a prescribed number of feet and throw a horseshoe at a stake. No horse is involved, no racquet, no ball, no net. And scoring, well, scoring is interesting.The closest shoe to the stake gets 1 point. If you have two shoes closer than any of your opponent’s, you get 2 points. Notice the word “closest” in there. Just getting close gets you points. Even getting closer than your opponent counts for something! Perhaps you’ve heard the phrase “close doesn’t count except in horseshoes.” Let me tell you friend, it doesn’t count in printing a book cover either. How does a person design a perfect book cover? Start with the rules for the printer you are working with. Clear enough. For a 350 page book, calculate 0.0025 per page, for a total of 0.875 spine width. That is how THICK the book will be, with the cream paper you have chosen. So what are the book’s other dimensions – height and width? I chose 5.25 x 8 for Patchwork Love, this summer’s project. Now, the printer needs “trim room” so around the edges you add 0.125 inches that will go under the knife. Still with me? That adds up to 11.625 x 8.25 inches for the entire cover image for 350 pages. Visualize the cover of a book, removed, and lying completely flat. The front cover, the spine, the back cover. That is the complete cover image. Will all of that flow into a printing press, and out, just the way you set it up? Ah, not quite. There is another word to keep in mind, and that is variance. For the Patchwork Love printer, that amounts to 0.125 – the allowance for a left or right slide, or, (pull out your hair right about now), the colors of the spine slipping onto the colors of the front image. It isn’t horseshoes. It just won’t work. The solution then? Pick up any book you may have lying nearby. Look at the spine of it. Does the front image “wrap” around onto the spine? The reason that many designers have chosen to do it that way is because of printer variance, so it doesn’t matter if the front image is pulled 0.125 inches this way or that. The cover for Patchwork Love now has its proper variance built in, and is ready to go sliding through any printing press that is up to the challenge. So when you order it from Amazon.com next month (yes, it will be there! ), be sure to check out the beautiful moon, shining all across the front and around the spine. Doesn’t it vividly portray the idea of the two lost children against the big bad world? That’s the other requirement for a perfect book cover. It has to convey emotion, and a sense of wonderment. Why are those two children lost? McNutt Street Books is the publisher. September 15 is the release date. Stay tuned.